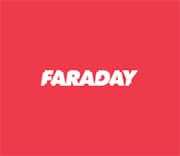 Faraday is the Integrated Multiuser Risk Environment you were looking for! It maps and leverages all the knowledge you generate in real time, letting you track and understand your audits. Our dashboard for CISOs and managers uncovers the impact and risk being assessed by the audit in real-time without the need for a single email. Developed with a specialized set of functionalities that help users improve their own work, the main purpose is to re-use the available tools in the community taking advantage of them in a collaborative way! Copyright © 2016 Infobyte LLC. All rights reserved.